Well, this is a common problem to we Android users. I recently got this error "Unfortunately, System UI has stopped". That moment, my phone became less responsive and the display turned blank for a second. If you ask me, i don't really know the actual cause of this error but i know it will be from the System UI app in your phone or some few other apps. In this article i have provided the possible solutions to this problem - Unfortunately, System UI has Stopped. Kindly follow me along. There is no one way of fixing this error message but in most cases, the first method has been really helpful to me. So you should try out and see which works for your phone. Uninstall Google App Update: Go to Settings > then tap on Applications or App > scroll down to Google App and tap on it > now tap on Uninstall updates option to stop the updates. 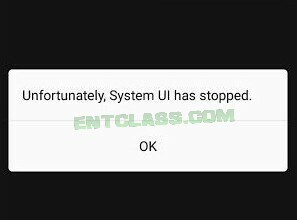 Restart your Android device and check if the Error is fixed or not. >> Then scroll down to "System Interface" or System UI (depending on the phone). >> Now, Force Stop it, Clear Cache and also Clear Data if possible. >> Finally, restart your device and everything should be back to normal. I hope with these few steps, you should be able to fix the problem Unfortunately System UI has stopped. Please don't forget to leave a comment and also share this post with friends. Thanks for sharing this with us here.... This information would go a long way to help lots of people. What of if the phone is rooted can it b fix? This information is helpful, thanks for the post.